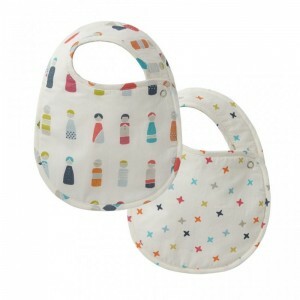 Two perfectly sized bibs in Little Peeps and Rainbow Jacks prints with a Grey Stripe reverse. Made of durable 100% cotton with snap closures. Set of 2, with adjustable snap closures as baby grows, 8″x12″.